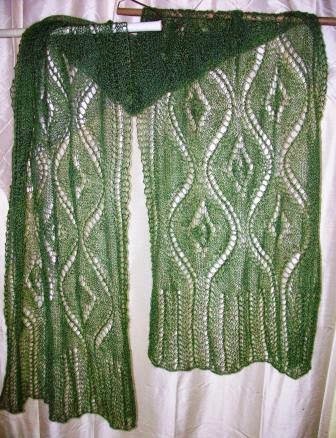 I've finished knitting the seascape stole. It took me about six weeks. I'm very pleased with how it turned out. 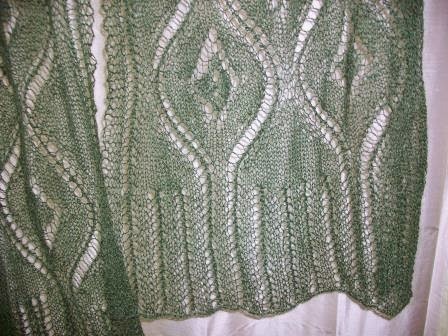 The pattern is Seascape Stole by Kieran Foley. The yarn is Misty Mountain Farm Alpaca Lace. It feels very soft and delicate. It measures 16 in X 66 in.